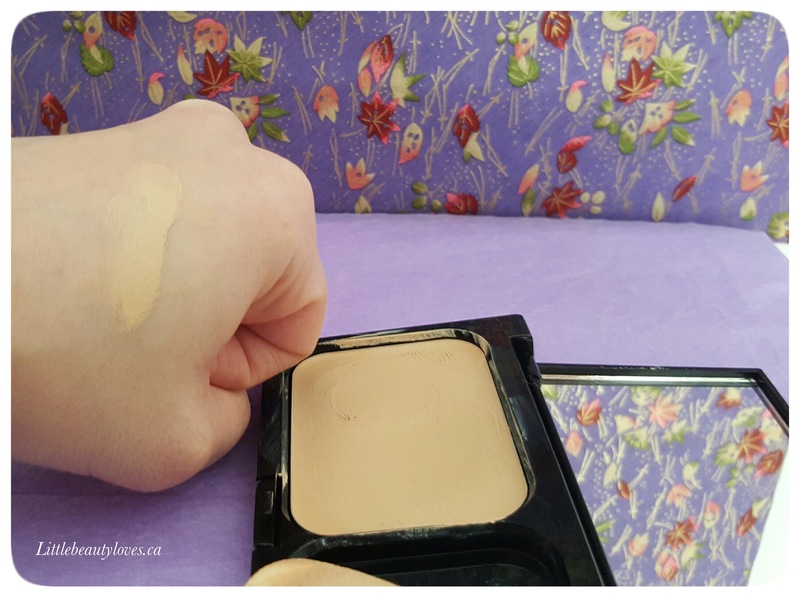 Over the last month I’ve been testing out new foundations I bought from Shopper’s Drugmart back in February. If your interesting in seeing what I purchased, click here. I reviewed the L’Oreal True Match Lumi Cushion already, so if you wanted to read my thoughts on that, click here. 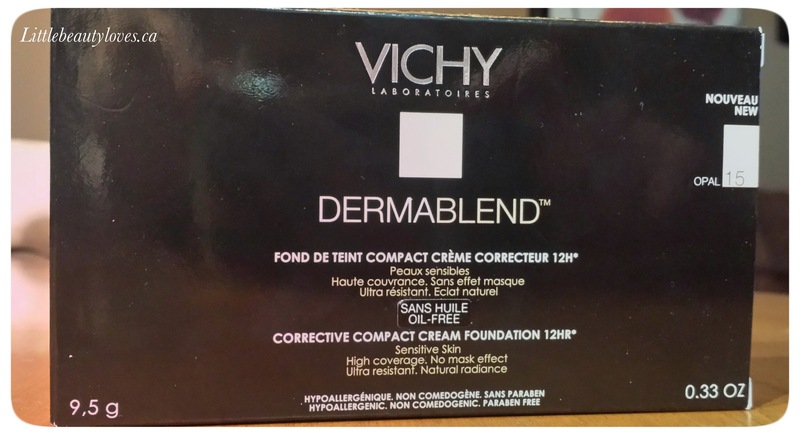 Today I’ll talk about my first impression with Vichy’s DermaBlend Corrective Foundation and look for my Bourjois Healthy Mix Serum coming later on this week. While at Shoppers Drugmart, the associate behind the counter suggested I try out Vichy when I told her I was looking for something that was fuller coverage and designed for dry skin. This also has an SPF30 and is oil-free. Price: If I remember correctly, this costs between $29-$35. 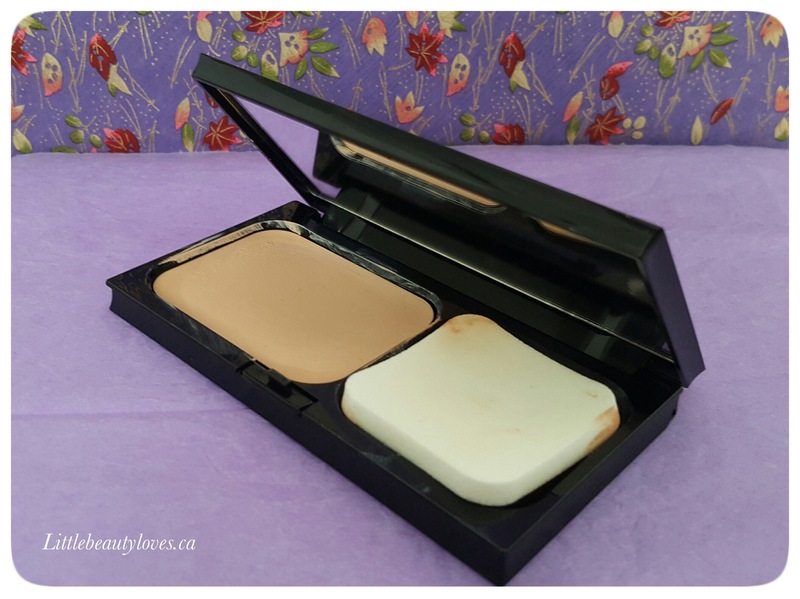 It’s pricey, but it’s not much more than the L’Oreal Lumi Cushion and this foundation actually offers more skin benefits. Packaging: It’s housed in a beautiful compact case with a large mirror and sponge for easy application on the go. I can see myself using this as a foundation for when I travel. The sponge it’s so bad if you used it on the go but I preferred to use it to dot the foundation all over my face and then I would blend it out with my foundation brush or beauty blender. Now with all of that said, I truly think that this is not the best way to package a foundation. I think a stick form would have been the best way to house the product. I don’t like that this is so exposed that it oxidizes quickly, and it always got dirty from me re-dipping my sponge! I think it’s a shame because the product itself is really. Coverage: This provides a really nice medium to high coverage without it looking or feeling cakey on the skin. This was a good match for my skin tone, but there aren’t many different colours in this range which isn’t so great if you’re on the paler or deeper end of the spectrum. I needed to use less concealer with this product which is really good thing. It’s smooth too, I needed to blend it out really well because I have dry skin, but I can image it gliding on a lot better for normal skin. It’s very moisturizing as well and I like the added SPF30. Wear: This is long wearing, just as the product claims. It looks just as good at the end of my work day as it does when I first put this on. My skin looks radiant too, which is really nice especially after a long day.My Thoughts: I do like this foundation, but I can’t really get over the packaging. I wish that it was in a stick form. I don’t think I’d re-purchase this for that purpose. What are your thoughts? 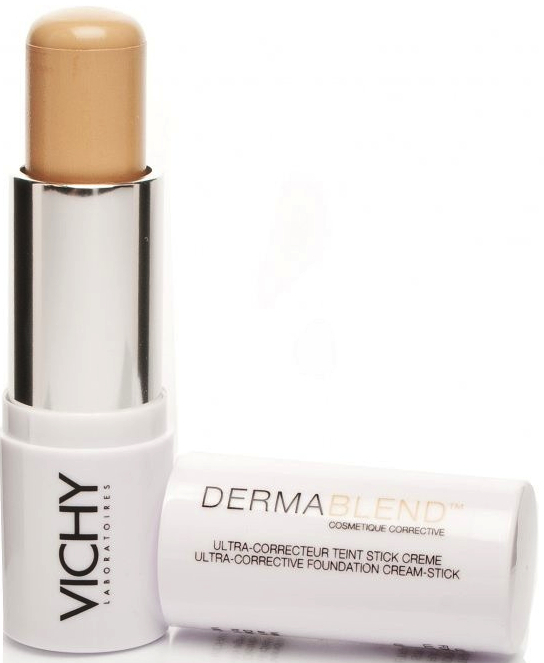 Have you tried the Vichy DermaBlend Corrective Foundation or anything else from this line? I like this! Seemed very convenient for travelling.. But hygene-wise not too good! It’ll attract dust and dirt so easily! I have this foundation in the stick form! “Vichy DermaBlend Ultra Corrective Cream Stick Foundation SPF30” is what mine reads on the tube. I really like the stick foundation – it’s great for areas that I need extra coverage, super creamy, and really portable. I don’t know why they discontinued it and made it into a compact?! I’m guessing maybe people aren’t as into buying stick foundations vs compacts? Oh, and my tube is 12 grams of product whereas your compact is only 9.5grams – oh them sneaky! Thanks for this review, I haven’t been too keen on the new Vichy Dermablend stuff since they revamped the line. Im actually shocked! Why would they take it out of the stick! I was hoping you’d say that maybe I just bought the wrong packaging but if they discontinued it than Im upset! And I got less product too. The black packaging is kinda cute though, haha! They probably redid all their packaging to make everything look sleek and highend. Tisk, tisk Vichy! Hi 🙂 I nominated your blog for a Liebster Award. You’re not obligated to participate but it’s just a small way to show that I enjoy reading your blog and will hopefully put a smile on your face!